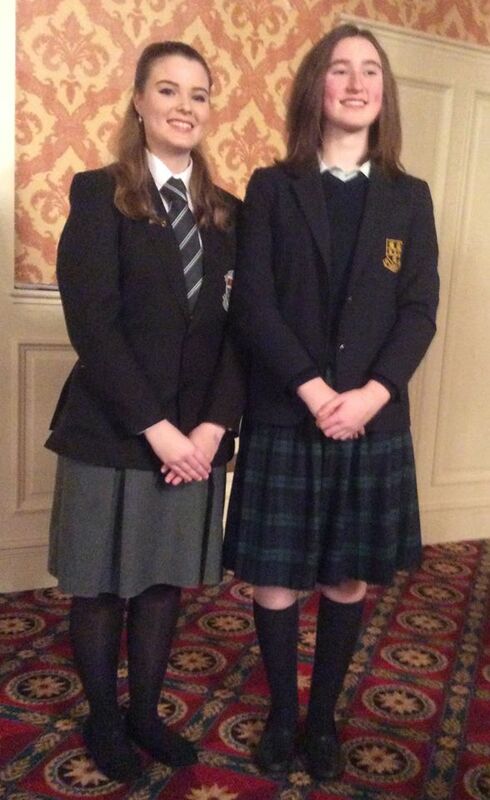 Well done to Caroline Kane on her recent win in the regional heat of the Soroptimist Public Speaking Competition. 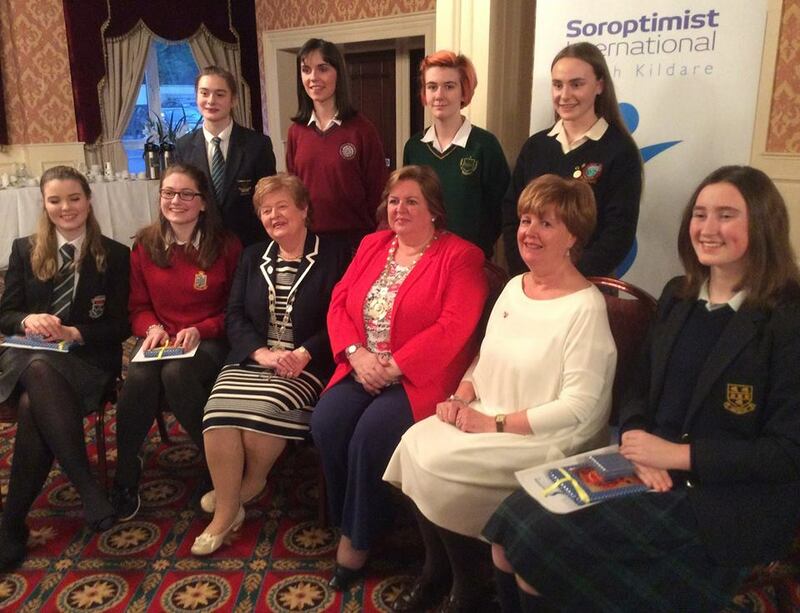 The Soroptimist Public Speaking Competition is an annual competition. It is open to girls who are pupils in the Senior Cycle of 2nd Level Education in Ireland. 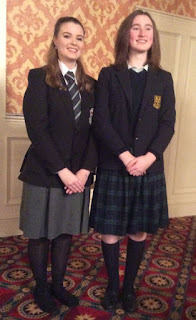 The winners of the Regional Heat of the Public Speaking Competition in Maynooth. Co. Kildare Caroline Kane from Newbridge (left) and Emma Beashel from Bray. Co. Wicklow pictured with National President Maria Finnegan, the President of SI Nth. Kildare, Adjudicator and participants.